OAKLAND — Yusuf Bey IV threatened to kill people who jeopardized security work by members of his Your Black Muslim Bakery, Devaughndre Broussard told jurors Monday morning. 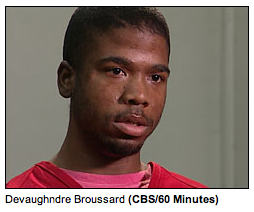 Broussard said he left the bakery in March 2007 because of Bey IV’s threats and because he wasn’t being regularly paid. Broussard is testifying against Bey IV and co-defendant Antoine Mackey, who are charged with three murders in 2007, including that of Bailey, editor of the Oakland Post. Bey IV, leader of the defunct bakery, and Mackey, both 25, have pleaded not guilty in the triple-murder case.